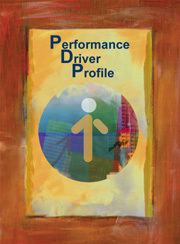 Most performance improvement strategies for sales professionals focus on skill development. As a result, the underlying root-causes of sales success often go unaddressed, resulting in modest or no sustainable performance improvement. The hidden gaps linked to a person’s attitudes, beliefs and values that undermine their ability to achieve their full potential must be identified and addressed in order to achieve significant breakthroughs in performance improvement. Self-Assessment: Each salesperson completes a self assessment. Depending on the application, organization, region and/or individual assessment, reports are created for each client. The reports detail the results of the assessment process and provide recommendations for action to accelerate performance improvement. Please feel free to contact us with any questions or if you are interested.